A detailed look at exactly how to approach the Reading Comprehension section on the LSAT. In this three-part blog series, we will talk about exactly how an informed LSAT test taker should attack each section. How Do Law Schools View (One, Two, Or More) LSAT Cancellations? How will a law school view a score cancellation, particularly if you already have one (or more) on record? The question everyone wants to know the answer to: Which LSAT administration do I avoid if I want to have an easy time taking the test? A discussion of how to best attack the Logical Reasoning sections on the LSAT. A discussion of how to best attack the Reading Comprehension section on the LSAT. A discussion of how to best attack the Logic Games section on the LSAT. 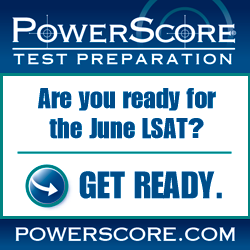 A lot of people believe the June LSAT is harder than the other three. Here are our thoughts on which exam is truly the most difficult.